Cancelling elections because you are afraid you – or your friends – will lose them is abhorrent in any democracy. So, any politician tempted to do so should be aware that seeming to keep company with, for example, the generals who staged a coup in Thailand in 2006, isn’t a good look. Nonetheless, both the UK Chancellor and the UK Foreign Secretary appear to be more than flirting with the idea of doing away with the impending European elections. Both of them were quoted this week as saying, dismissively, that they were sure “nobody” wanted to vote for a European Parliament – which is surprising, because almost everybody I meet in my constituency is keen to have a say, at last, in what is happening with Brexit, and very keen to emphatically reject the idea of Scotland leaving the EU. It is actually questionable that even if the Prime Minister could inveigle Jeremy Corbyn into backing her deal (and hers is the only deal she will consider), whether there would be enough time between now and European election day to pass all the necessary legislation. So that route to cancellation, if not closed, is certainly narrowing, and I presume that even the current out-of-touch Tory Government would not try to seek an illegal route to such an outcome, given that it would lead to instant expulsion from the EU without a deal. That is something only the most extreme and least rational Brexiteers could contemplate. Those extreme and irrational Brexiteers might, however, end up with the most votes in England given the polarisation and fluidity of the current situation. That would simply intensify the crisis. In Scotland, things are different. The SNP has for the past two-and-a-half years been clear about the benefits of EU membership, particularly for small states. The object lesson is Ireland, which has been wonderfully well supported by the EU27 during the whole Brexit crisis while Scotland has been marginalised and ignored by the UK. So, the European elections give voters in Scotland an opportunity to do three things. Firstly, we can express Scotland’s opposition to Brexit in clear and unambiguous terms by voting for the SNP. This confirms the European referendum vote in 2016 and does so in the knowledge that the Scottish Government has tried hard to compromise and to be constructive but has been met with no reciprocal gesture. The Scottish Government will continue to engage as positively with the UK Government as it can, but it is clear now that no type of Brexit can be good for Scotland. Secondly, we can support the decision on the way forward being made by the people. Scotland has already rejected leaving, but the Scottish Government has backed a “People’s Vote” because after almost three years it is obvious that opinion across these islands has changed and that, if politicians and parliaments fail, putting it the people is the only means to reach a conclusion. Thirdly, we can continue with the national debate on how Scotland can have a better future and can avoid ever again being dragged into this type of mess against our will. We need to have a mature discussion about how our institutions must grow and develop to achieve that aim. To do so, we must unify the country in an outward-going and positive spirit. 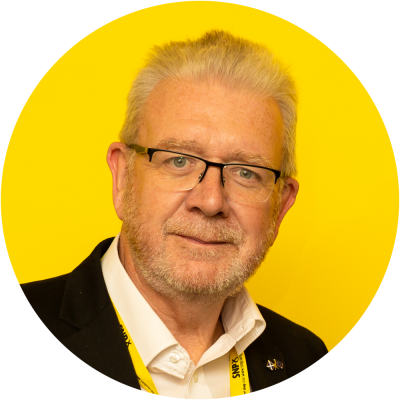 The SNP believe independence is the best answer to that question – more and more people are interested in that view, and many of them are coming to support it. We need to ensure that we continue with that process in a non-threatening and inclusive way. If the right-wing, anti-immigrant and revoltingly led Brexit Party does turn out to lead the poll south of the Border, it will suggest there is still no prospect of a firm rejection of Brexit at Westminster, not least because of the equivocation and lack of leadership from Labour and the divided anti-Brexit parties. But if the SNP does well in Scotland, it will be because there is a majority here for continued membership of the EU. And it will ensure that such a message goes not just to London, but to Brussels too. A clear, constitutional and internationally recognised route to independence exists. Confirming to our European neighbours that we are working through it in a way that unites and does not divide would be to get something good out of what is still a dark political time.